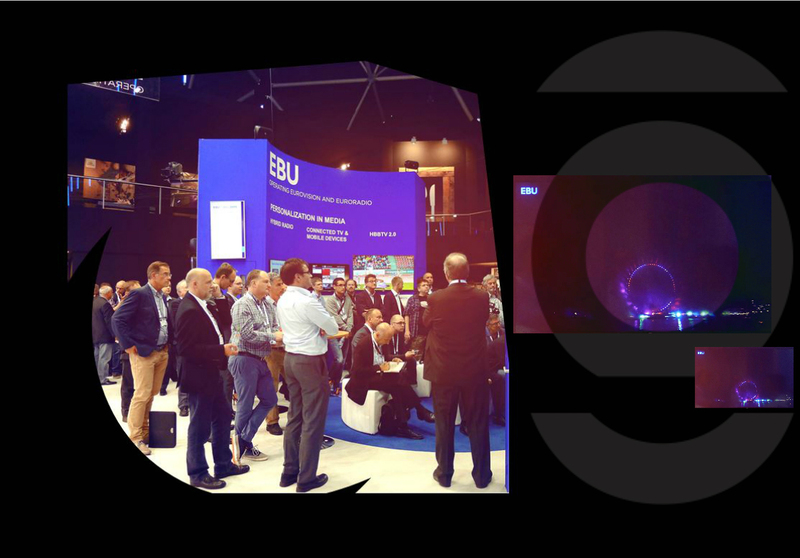 As usual, we were present at this year's IBC Conference with demonstrations, presentations, conference sessions and more at the stand to ensure that public service media remains an important part of the broadcasting agenda and that the EBU is at the forefront of technology and innovation. This year's highlighst are listed below. FIMS/Semantic data: The latest news on FIMS specifications and new products were shown. Particular attention was given to semantic data in audiovisual production and sport. For more, click here. EBU.IO/Quality control: In collaboration with automated QC vendors and FIMS, the EBU Strategic Programme on QC has developed interoperable QC templates that can be set up and exported using EBU.IO/QC. For more, click here. LiveIP: The VRT LiveIP Project is a multi-vendor IP-based live TV production studio using open standards. The project was winner in the “special recognition” category of the IABM Design & Innovation Awards. For more, click here. Hybrid radio: A demonstration of how hybrid radio enables broadcasters to enrich their programmes with visual elements and interactive scenarios was given. For more, click here. Personalization: This demo showed the RTS HbbTV portal using personalized features, which allow the user to access his viewing history across many devices: HbbTV, website and native mobile application. For more, click here. HbbTV V2.0: An UHD HDR enabled TV played out an HEVC encoded MPEG DASH file that was extended with 10-bit UHD content. The same set played Live stream HEVC full HD content switching seamlessly between different bitrate representations with a replay window of 20 minutes. Last and not least this demo showed how HTML5 can be used to improved viewer engagement with an enhanced user interface in an existing product. Live HDR content production for live broadcast was on show, without metadata, based on the Hybrid Log Gamma (HLG) curve designed by BBC/NHK. For more, click here. Benefits of HFR: Visitors could also see for themselves how native HFR signals perform compared to motion compensated ones, with and without compression on our prototype HFR displays (which can go up to 1080p240fps!). For more, click here. Daily presentations were given in the Innovation Theatre at the stand (here is a list of the topics). The slides of the presentation on EBU-TT-D and IMSC subtitling can be downloaded here. 16:30 - 18:00, Saturday, 12th September at the EBU stand a series of lightning talks was given! Click here to download the presentations. One-toone loudness advice was given at the EBU booth (10.F20) between 12:00 - 13:00 hrs every day by PLOUD chairman Florian Camerer (ORF).